Luke Hamer is an Associate Lawyer at Smitiuch Injury Law and exclusively practices in the area of personal injury and wrongful death. Luke has acted as counsel on a number of jury and judge alone trials at the Ontario Superior Court of Justice, before the Divisional Court and at arbitrations at the Financial Services Commission of Ontario. In March 2015, Luke acted as co-counsel with Peter Cho in a judge alone trial arising from serious personal injuries sustained by a minor Plaintiff while he was boarding an amusement park ride with his father at Centreville Amusement Park (Bhatt v William Beasley Enterprises Limited). At trial with Peter, Luke helped successfully obtain judgment in favour of the minor Plaintiff and his parents against William Beasley Enterprises Limited. Luke obtained his Juris Doctor degree from Bond University in Robina Gold Coast, Australia. 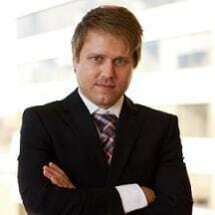 He also holds an Honours Bachelor of Science degree in Anthropology and English from the University of Toronto. Luke has volunteered with Habitat for Humanity and as a camp counselor in Guelph, Ontario.